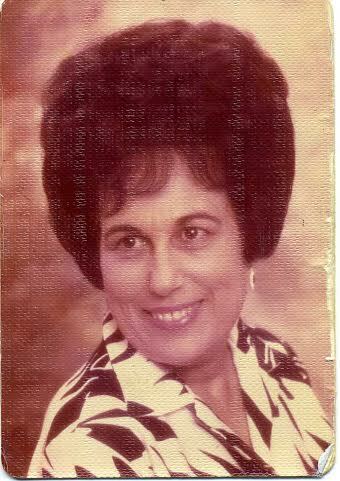 Norma Mary Emmite, 94, departed from this life on May 9th, 2014 at Baywind Village Care Center in League City, Texas. She was a Wife, Mother, Grandmother, Great Grandmother, devoted homemaker and community volunteer. 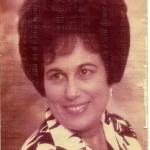 Mrs. Emmite was born on March 5th, 1920 in Galveston, Texas to Antonio and Cesira Micheletti. She was a resident of Galveston, Texas and graduated from The Ursuline Academy in 1938. She married Frank J. Emmite on April 25, 1942. After the end of WWII, she and her husband made Dickinson, Texas their home and raised four children. In Dickinson, Mrs. Emmite attended Shrine of True Cross Catholic Church and was a member of The Catholic Daughters. In the 1940s and 1950s, Mrs. Emmite helped organize the yearly St. Joseph Altar honoring St. Joseph, the patron saint of the home, which consisted of many baked goods and was a local Italian Catholic tradition at the time. As a community volunteer, Mrs. Emmite was a member of the Ladies Auxiliary of the Dickinson Volunteer Fire Department for over 20 years beginning in the 1950s where she was very active in fund raising events and social functions. She was also a member of the VFW Ladies Auxiliary. In 1976, she was certified by the Galveston County Health District and worked in the Food Service Division of Dickinson High School for many years. Later, she worked as an organizer and food service director for Shrine of True Cross Catholic School in Dickinson. She loved music and will always be remembered for her love of dancing, sense of humor and perseverance. She was preceded in death by her husband, Frank J. Emmite, Sr., parents, Antonio and Cesira Micheletti, three brothers, Victor Micheletti, Sirio Micheletti, Anthony “Cheeso” Micheletti; one sister, Iva Micheletti Emmitte. She is survived by daughters, Linda Bradberry and her husband Forrest “Biff” Bradberry of Palestine, Texas; Norma Jean Hutto and her husband Rodney Hutto of Baytown, Texas; sons Frank J. Emmite, Jr. and his wife Tommie Emmite of Houston, Texas and Donald Emmite and his life partner Jim Power of Houston, Texas; sister Olga Micheletti Emmite of Dickinson, Texas; 7 grandchildren, 13 great grandchildren, 2 great-great grandchildren and numerous nieces and nephews. Visitation will be on Monday, May 12, 2014from 10:00 am to 11:00 am at Crowder Funeral Home. Services will be held Monday, May 12, 2014 at 11:00 am in the chapel at Crowder Funeral Home, in Dickinson, Texas with internment to follow at Mt. Olivet Catholic Cemetery in Dickinson, Texas. Special thanks to Faith Community Hospice and everyone at Baywind Village Care Center in League City, Texas for their kindness and loving care. Remember me with smiles and laughter for that’s how I’ll remember you all. Remember me with tears and sorrow don’t remember me at all. I am so sorry you had to lose your mom this close to Mothers Day. Feel blessed that she lived a long life. I was Ms M’s (as my girl’s called her) neighbor for several years and her friend for always. I will miss her and always keep her in my thoughts. My prayers are with her family. She is with Frank now, the love of her life. Mary Talley, Phyllis, Elizabeth & Cat. Dickinson Tx. I am so sorry to hear about Mrs. Emmite’s passing – she was a lovely lady, and I feel truly blessed to have known her. God’s peace and comfort to you all. I wish to express my sorrow for the loss of your mother whom I remember as being a loving, caring, and a devout Christian lady. I wish I had been there to pay my respect but only discovered your loss today. My heart and prayers go out to such a loving and endearing family. God bless you all and each of you still remain in my memories of your family. Knowing your family was the best days of my adolescent years.